Snow and ice make sidewalks, steps and driveways slippery. Clear these areas, ask your loved one’s neighbours for assistance or hire someone to help. Ensure that your loved one has high-quality winter boots with low, wide heels and good treads. Some people add ice grippers for better traction, but be aware that these can be very slippery on smooth surfaces like stone and tile. If your loved one uses a cane, buy a retractable pick attachment at a drugstore. Ensure that entrances and stairways are well lit. Seniors tend to have lower body temperatures, and their bodies are less able to regulate temperature. Some medical conditions, including Parkinson’s disease and diabetes, and certain medications, including some antidepressants and painkillers, also affect the body’s ability to regulate temperature. These factors make seniors vulnerable to becoming dangerously cold – even when they’re indoors. To prevent hypothermia, seniors should wear warm, dry clothes including a hat; avoid being outdoors too long, especially if it is windy; and heat their homes adequately. If you think someone has hypothermia (signs include shivering, dizziness, fatigue, rapid breathing, confusion, difficulty speaking and poor coordination), call emergency services. Gently move the person to a warm location, cover them with blankets and monitor their breathing. When it’s very cold, the skin and its underlying tissues can freeze, causing serious damage. Frostbite usually affects exposed skin and extremities: ears, nose, chin, cheeks, fingers and toes. Signs include skin that’s cold and red, then numb, pale and hard or waxy-looking. Seniors are more likely to suffer frostbite because they produce less body heat and may have medical conditions that make it harder to feel cold. To prevent frostbite, remind your loved ones to wear warm, protective clothing, avoid staying outside and not to touch cold objects. Some people use fireplaces or appliances to warm their homes. It’s important to be aware of the risk of fires and carbon monoxide poisoning. Carbon monoxide is an odourless, colourless gas produced by burning fuels such as wood, gas or propane. Using improperly ventilated fireplaces, wood and gas stoves and other appliances, especially indoors, can cause this gas to build up to dangerous levels. Symptoms include headache, dizziness, shortness of breath, weakness, confusion, blurred vision and fainting. If someone is suffering from carbon monoxide poisoning, move the person to get fresh air and contact emergency services. Install carbon monoxide detectors near fireplaces, stoves and heaters. Caution your loved ones about heating their homes with a gas stove or charcoal grill – they aren’t intended for this purpose. 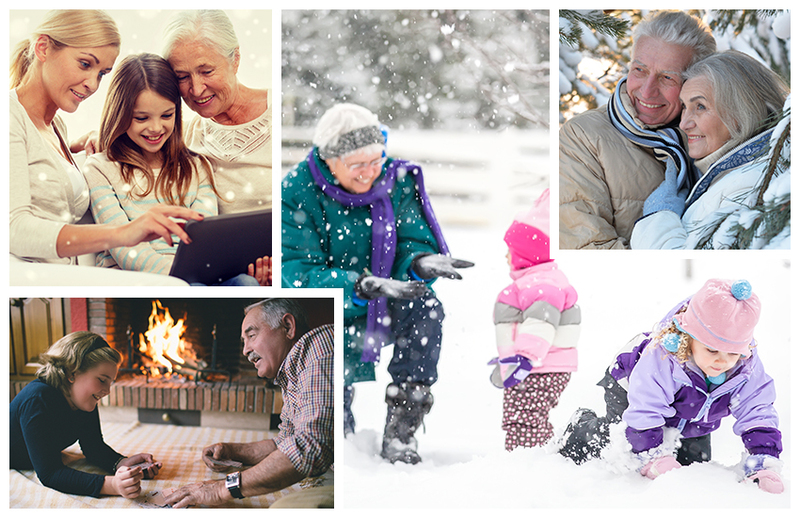 With planning and precautions, seniors can stay safe and healthy during winter’s deep freeze. Talk to your loved ones about steps they can take to avoid illness and injury. To learn how Bayshore can help seniors stay safe in the cold, visit www.bayshore.ca or call 1-877-289-3997.